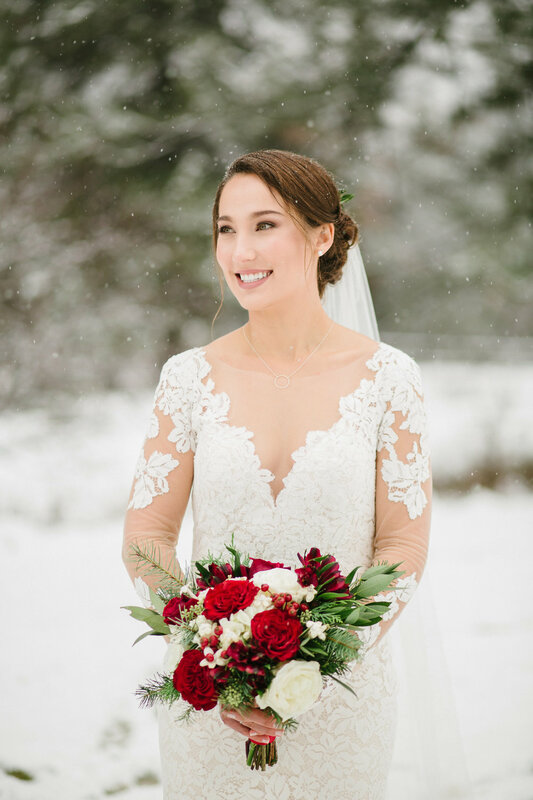 In all the classic holiday festive colors, I loved this elopement. She requested using stephanotis since her mother had it in her bouquet. The sentiment tied to a piece I’m making always makes it special. 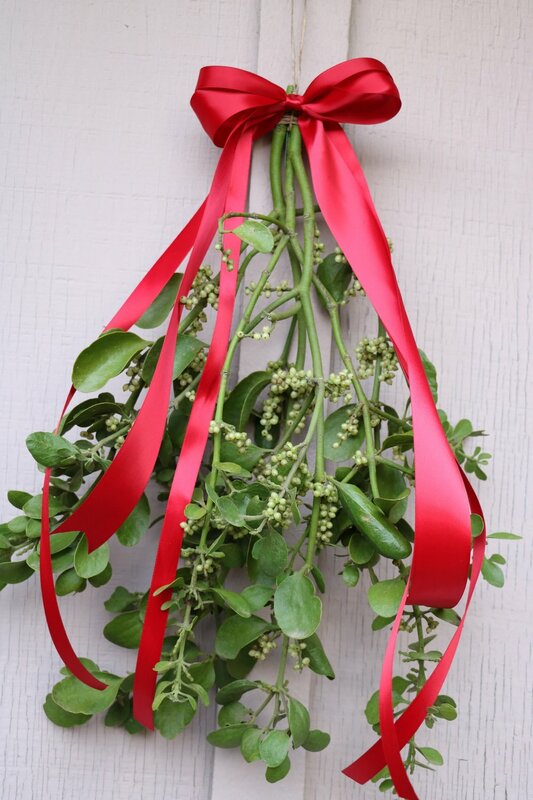 Mistletoe, red ribbons, wreaths, and snow!!! 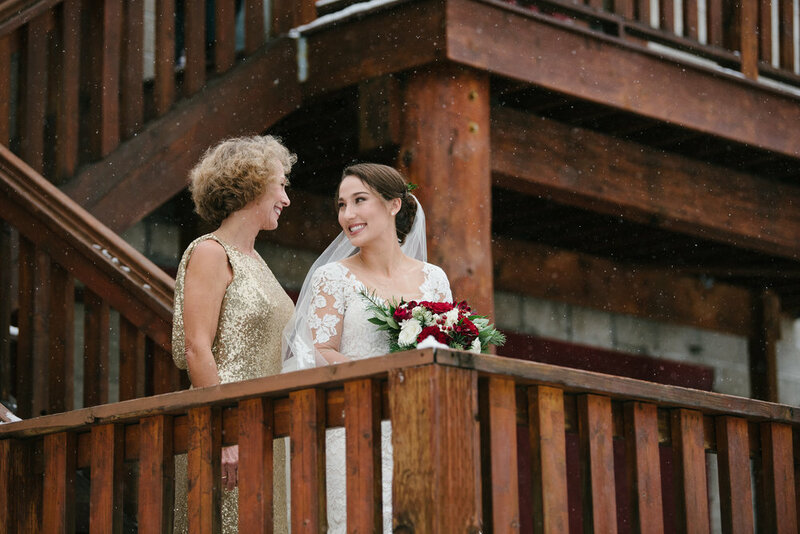 The couple got married in a Lodge in Leavenworth. I packaged everything up for the snowy drive and the couple’s future in laws were entrusted with making the pickup. Here is a picture of a few items and the nice neat elopement package. The Bridesmaids wore dresses that complimented them, in similar shades of green and emerald. 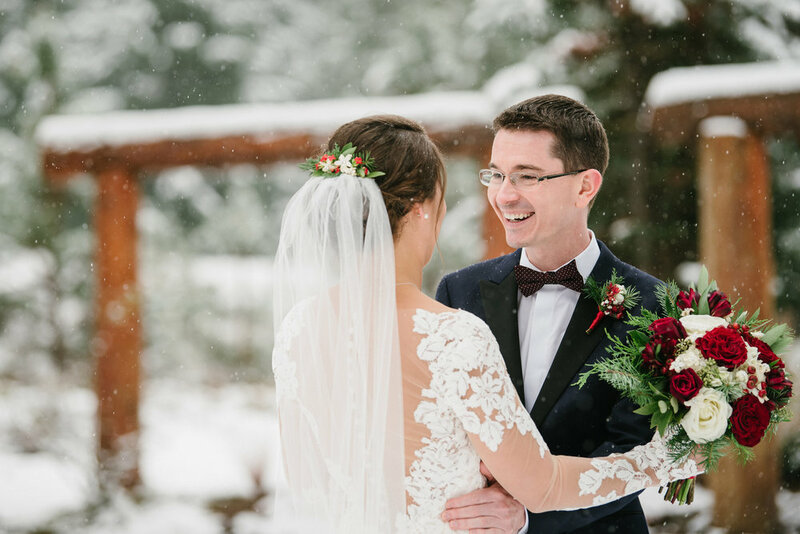 Small details and cozy holiday touches gave this intimate ceremony and reception a personal touch. Kate was trained in hula, and did a special dance to honor her heritage. She looks just radiant. I would like a mug of hot cocoa and a snuggly blanket now please. 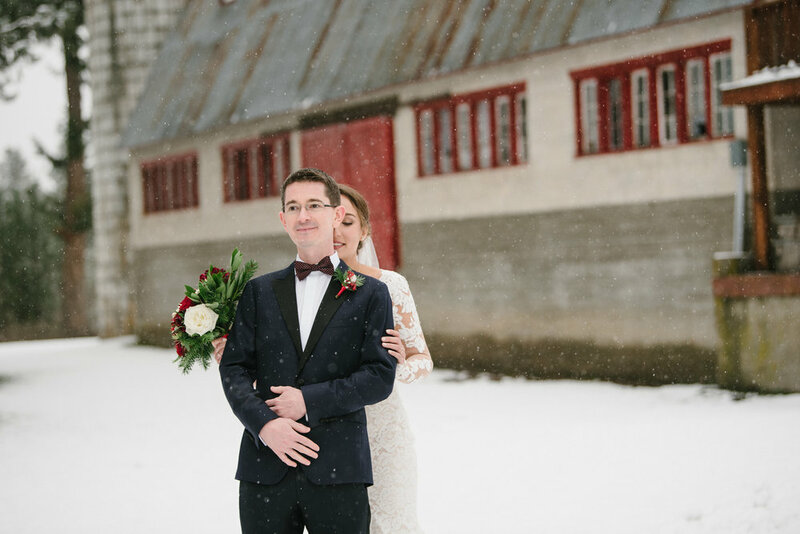 Let me know if you’re planning an elopement. I would love to package up something special for you. Gina did a spectacular job with our wedding flowers. Everything was absolutely beautiful. She truly brought my vision to life. I would highly recommend her. She was responsive and never once seemed to mind all of my revisions to the original proposal. She was amazing. She made it so easy for us to pick up the flowers and transport them to our remote location without any issue. Thanks for reading! 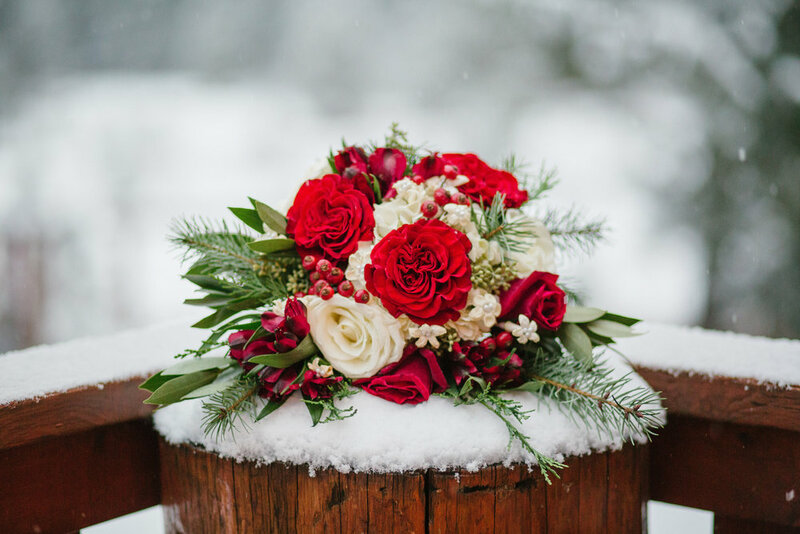 Here’s the link to Kate’s bridal bouquet breakdown.